Autumn is here and the leaves are just starting to turn. Believe it or not, that means it's time to start thinking about the holiday season. Holiday expenses can pile up quickly. Planning ahead saves you sticker shock and can spare you a steep credit card bill in the new year. Careful planners have laid out their holiday budget well in advance and saved for it all year long. It's not like the holiday season is a surprise, after all! 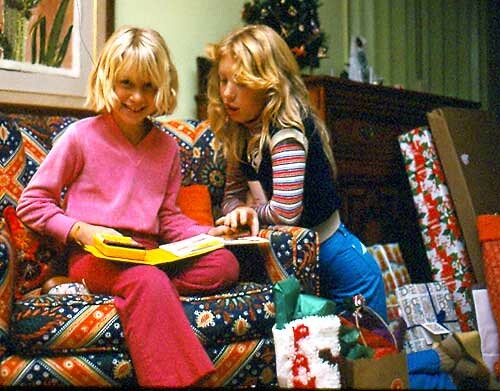 A generation ago, it was common for housewives to be part of a “Christmas club” at their local bank, which was just a targeted savings account where you saved a little cash each week and got it back in a lump sum before the holidays. But what if you haven't laid aside a nice nest egg for holiday shopping, travel and entertaining? Well, it's never too late to start. Getting on the holiday savings bandwagon now will help you create a buffer between you and all those extra bills. Start with a budget of expected expenses. You probably know at least roughly what you spend year to year. If you've been tracking your spending, you can even look back at the past few Decembers and get a more detailed feel for what your expenses have been. Don't just look at what you spend at the mall. Gifts are probably a big chunk of your holiday budget, but they're not everything. You also need to consider added costs for food and drink if you entertain during the holidays. Travel costs are a factor if you visit relatives, whether it's a road trip to Grandma's or an international flight. The gifts for your child's classroom teacher, and the secretary at your office. Yankee swap (or white elephant) items. A bottle of wine for the hostess at each of the four holiday parties you attend. A dress for New Year's Eve — and new shoes to go with it. Once you've looked over your expense records for last year (or wracked your memory if you've just gotten on the personal finance bandwagon and don't have last year's records), it's time to sketch out a budget. I like to be specific in my holiday budgeting. I make a “Santa's list” of gifts I expect to buy. I jot down rough expenses for the annual holiday party I host: how much I expect to spend on booze, food and sundry party supplies. I budget out any trips we're going to take, like visiting my father for Thanksgiving. This may sound tedious, but I find it really fun. In general I use more detailed budgeting than J.D. does, so I may be predisposed to finely tuning things. If you prefer a looser method, you need only figure out how much your total spending from, say, mid-November through New Year's exceeded your regular monthly spending. That's how much extra cash you'll need to cover your holiday expenses. If you're like me, you probably want to take a more detailed approach. In the case of my holiday budget, it's not a chore at all. It's sort of an anticipatory activity. I sit down with my husband and plan out what we want to do for the kids this year. I get to imagine how my party will be, and think about what kinds of food and drink I'll serve. Checking on airfares to Tucson is a chance to think about the Thanksgiving meal I'll share with my father, and how happy he'll be playing with my kids. I'm looking ahead to the things I enjoy about the holiday season, while I'm figuring out what each one will cost me. It helps me keep my expectations realistic, and gives me a chance to savor the time with friends and family that I'm looking forward to. Once you've figured out your budget, in whatever level of detail is comfortable for you, it's time to save that money. Money doesn't come from nowhere. To save up a chunk of cash over a few months, you'll probably want to employ several strategies. The first thing you can do is cut back on your discretionary spending. Stop eating out, scale back on entertainment. Stay in with Netflix and a good homemade meal a few times, and you'll save a decent chunk of cash. Taking a close look at your spending habits will probably highlight some other things you can cut back on: shopping, subscriptions, travel. The usual suspects. If you've been managing your finances closely for even a little while, you probably have a good idea of what your personal money sinks are. You know what can be cut for a short period of belt-tightening. Now is the time to do it if you want to splurge over the holiday season. Once you've cut back your discretionary spending, look at ways to bring in more cash. Some people pick up part-time jobs around this time of year: plenty of places need seasonal workers, from stores at the mall to apple orchards. You can easily pick up a short-term gig doing something that may not thrill your soul, but will put extra cash in your pocket. Alternately, you can look at earning money from a hobby or talent. Maybe you can schedule some portrait sessions, or make some money busking in the subway. You might be able to hang out your shingle doing some bike repair or odd jobs around people's homes. Craft fairs and shops offer opportunities for knitters and crafters to sell their creations. Putting in some extra hours and effort with your creative work this season might well pay off in extra fun money right when you need it. Finally, you can sell stuff. Possibly even some of last year's Christmas presents. You surely have old DVDs, sports equipment or other useful things in good condition that you are never going to use again. Selling your unwanted goodies is a bit of an art. Some people, like J.D., are great at it. Others find it's more of a hassle than a lucrative hobby. However you decide to approach saving for the holidays, have fun with it. Not only is it a good idea to put by some extra money for the upcoming season, but it'll give you good practice at setting a financial goal and meeting it. Note: Another way to help your Christmas budget? Don't forget to explore homemade gifts. These can save you money and be fun to make. How Much Is a Clean Home Worth? Last month I wrote a post on do-it-yourself beauty and personal care products. That touched a nerve with a lot of people: some loved it, some hated it; it seemed like everyone had something to say. At the time I'd planned to follow up with a post on do-it-yourself cleaning products for the home, but I've decided to take a step back and look at the bigger question: What is a clean house worth? 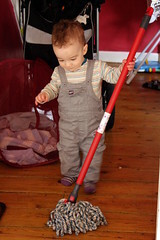 Everyone puts some resources into keeping their home clean. Whether you spend hundreds of dollars a month on professional cleaning services or struggle to pay for soap, you're going to have to shell out cash, time, and effort to have a healthy, clean, happy place to live. For some, having your house cleaned by a professional seems like an unthinkable luxury. To others it's just part of the cost of running their household, like paying the electric bill. The thing to remember when deciding whether to do your own cleaning or pay someone else to do it is that you always have to spend something on keeping your house clean: money or time. Time is a finite resource, too, just like money. If you decide to do it yourself, you're committing to spending a chunk of time every week doing chores. If you pay someone else, you get that time back in exchange for your money. House cleaning isn't cheap. In the area where I live, you'll pay a house cleaner $70-$100 for biweekly cleaning of a moderate-sized apartment. If you want a really deep cleaning or have a large house, it can cost a lot more. That price tag is worth it to a lot of professionals. They look at the value of their own time and decide that it's worth their while to pay someone else to wash the floors and scrub the tub. The time they don't spend cleaning their own house they can spend working or relaxing. In the days before I had kids, I lived in a shared apartment with four other adults. We all worked full time. With five salaries coming in and no one with a lot of time on their hands, hiring a house cleaning service was clearly the right call. We never had to fight over whose turn it was to do those cleaning chores, and we were all happy to spend money rather than time on keeping the house clean. As a stay-at-home mom, that equation changed. Suddenly I was drowning in time and scrambling to come up with enough money to pay my bills every month. Housekeeping services were one of the first things to go. Every household has to do their own math and figure out how much time and money they're willing to spend on keeping the house clean. How DIY Do You Want to Be? Even if you hire a cleaning service to take care of the big stuff, you'll still do a fair amount of housekeeping yourself. There will always be spills to mop up, dishes to wash, laundry to do, and garbage to haul to the curb. When you're going about your household cleaning, you have a lot of choices to make. What products will you buy? What tools will you use? Make your own cleaning products. I know, I know, some of you are tired of the hippie stuff. But this one isn't mine. Trent at the Simple Dollar has done all the math on how much you can save by just making your own laundry detergent, and it adds up to a decent chunk of change. Do away with disposables. Try using rags instead of paper towels to clean up messes, or buying refills for your handsoaps instead of whole new containers. Every time you can eliminate waste in your cleaning process you're cutting costs as well as helping out the environment. Buy in bulk. Cleaning products last for a long time, if not indefinitely. You can buy bulk containers of things like laundry soap, handsoap, and all-purpose cleaner. Typically, the per unit cost on these is lower than if you buy just a regular size bottle at the drug store. Watch out for shopping momentum, though. Only buy bulk items you really need and will use. Use coupons. A lot of people make out like bandits byclipping coupons and taking advantage of sales to stock up on their favorite cleaning products. Keep it simple. There's a dizzying array of cleaning products on the market, making competing offers and boasting features you never knew you needed. Stick to the basics. Cleaning the house can be an intimidating prospect. Where do you begin? How do you know when you're done? Without a plan, you can wind up spending a lot more time, frustration and money than you really need to. Some of the best cleaning advice I ever got was this simple truth: Do one thing at a time. Don't set aside Saturday as cleaning day and think you're going to rock the whole place into a state of pristine order like a team of professional house cleaners might. Instead, pick one task or one room and get it done. Some people get a lot of mileage out of chore charts. (And, of course, there's J.D. and his silly chore cloud.) 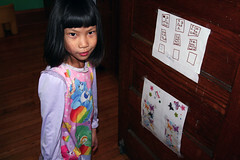 In my house, we used to use a chart that listed out all the chores that needed doing. When someone did a chore, they'd initial the chart with the date, so everyone knew when the floors had last been swept or the windows washed. After nine years of living together, my husband and I are past the days of chore charts. We both know pretty well what needs to be done and how often it needs to happen. We have our routines, and we're comfortable with the cluttered-but-clean living space we share. The chart was invaluable for helping us work out those routines in the early days, though, and I'm thinking of bringing it back in a different form for my kids' benefit. How do you keep your house cleaning without breaking your back — or the bank? Is Unlimited Air Travel a Good Deal? Air travel is rarely anyone's idea of a good time. It's expensive, time-consuming and difficult. There are the byzantine demands of the ticketing process, in which you have to confirm your exact travel dates and times weeks or months in advance and then pay exorbitant fees if you change your plans. (Or if you buy super cheap tickets, sometimes you run the risk of not being able to get your money back at all!) There's the constant nickel-and-dime fees for everything from checked baggage to in-flight snacks. There's the seemingly endless TSA security procedures that have to be planned around carefully while you're packing. In short, traveling by air can be a drag. Most of us are willing to do it sometimes for the thrill of travel, and many of us have to do it frequently for work. Especially for those in the latter category, flying might be about to get a whole lot better. In the past few weeks, I've seen two different ventures getting ready to launch that would take a lot of the hassle out of air travel for frequent flyers. There's reason to hope that if these succeed, we'll see some real innovation in how the airline industry treats passengers. The first is a service called PlaneRed. This is an entirely new airline planning to launch this fall. For a monthly subscription, you'll be able to fly all you want. Better yet, you won't have to deal with the TSA at all. Their first routes go up and down the Eastern seaboard, but they're hoping to expand quickly. How will they do it? PlaneRed is planning to operate small planes and fly out of secondary airports, essentially flying under the radar of the TSA's jurisdiction. Their flights will carry only nine passengers at a time, and fly short distances. They're setting themselves up to be a commuter airline, committing to short routes between cities: New York to Washington, D.C., possibly San Francisco to L.A. I realize there's a political debate to be had about PlaneRed's plan to dodge TSA security. Some people will see that as a perk, while others will see it as a dangerous problem. Like so many politically charged decisions made by private companies, consumers will be able to vote with their dollars on this one: Don't like their approach, don't give them your money. I'm not really interested in PlaneRed's political position. What I'm interested in is how they're looking to streamline air travel and make it more customer friendly. And more affordable. They're planning to sell subscriptions for just $150 a month, though they acknowledge that price point may not be sustainable. If they can't turn a profit at that rate, they may add a $25 per flight fee, or raise the subscription rate to $200 or even $250. Even at the high end of that price point, this is a steal for anyone who travels regularly for business. Not only is it cheaper than paying $150 or more per flight, but it gives you more flexibility and better service. No more booking your tickets weeks in advance, no more penalties for last minute schedule changes, no more hassle at the gate. You don't have to worry about missing your flight because the woman ahead of you in security forgot to label her baby's medication and caused a big delay, and you don't need to stress about finding a cheap flight for the meeting your boss suddenly scheduled next Wednesday in New York. If it works, this is a great deal for people who travel more than once a month. That seems like a big “if” though. It's notoriously hard for airlines to stay profitable, and these guys are starting from scratch. Their whole business model is a radical departure from the rest of the industry. Will it catch on? Hard to say. The idea of unlimited flying has some mainstream appeal, though. JetBlue has recently announced that they'll be test-driving an all-you-can-fly pass for the next three months. Users can pay $1999 to travel anywhere JetBlue flies, $1499 for unlimited travel to any of their eastern U.S. destinations or $1299 for unlimited trips to western cities. You can get in on that deal by checking out their website, though the most expansive option has sold out already. Like PlaneRed's proposed service, JetBlue's Bluepass will give you more flexibility with travel. You can book a flight online as little as 90 minutes before departure, and there are no fees for changing or canceling your plans. SmartMoney's Kelli Grant notes that JetBlue's most expensive plan—for unlimited travel between Boston and any JetBlue city over the three-month period—can get you to many Caribbean destinations. Since round-trip tickets to most Caribbean islands normally cost between $400 and $600, Bostonians with an itch for crystal-clear waters, five or six free weekends between August 22 and November 22, and a place to stay could get a pretty good deal. Since those Caribbean passes appear to have sold out already, we'll have to wait for this program to continue or expand to take advantage of this deal. The remaining offerings could still be a bargain for new grandparents, long-distance lovers, or anyone else trying to stay close to friends and family in far-flung cities. You'd need to travel about two to three times a month to beat the cost of just buying your tickets separately for each trip, but you'd get the added benefit of flexibility with your trip planning. Are you interested in an unlimited subscription approach to air travel? Would you consider buying a monthly or quarterly pass instead of individual plane tickets? In my article on Spotify last week, a couple of commenters took me to task for suggesting that subscribing to access for music could be better than buying your own permanent copies of the songs you love. A few thought that, as a personal-finance writer, I should be urging people to buy their stuff instead of throwing money away renting access to it. That's an interesting idea. I think it's often the case that renting or subscribing for access to something is better than buying it outright. Buying stuff can be great, too. Ultimately, I don't think the question is whether to rent or buy; it's how to find the solution that gives you the best value for the thing you need to use. Sometimes, you'll spend more money renting access to an item than you would just buying it outright. Other times, the reverse is true. Most products aren't investments. They lose value the moment you take them home from the shop, and continue to depreciate the longer you own them and the more you use them. This is true of everything from cars to designer shoes. There are a few things that can appreciate in value: collector's items, houses, jewelry. For most of our stuff, though, we can hope to recover some of what we spent on it by selling it when we no longer need it, but we're kissing the bulk of our money good-bye when we make the purchase. Given that, there are plenty of times when it makes more sense to rent. Anytime you're buying something you have a limited use for, you might want to pause and consider renting instead. High-end designer handbags?Specialized power tools for a home improvement project? You can rent this stuff for a fraction of the cost that you'd spend buying it. There's a whole movement of people who call themselves “transumers”. These folks make an effort to own as little as possible, renting what they want or need and then swapping it for new rental items after a short time. They're not crunchy hippie types: They're young professionals renting cars and furniture — and even their clothes. They just want to always have the latest trends, so instead of buying their stuff they rent it and turn it in every few months for the hot new item. In addition to big companies or niche websites that provide rental items to consumers, there are websites that specialize in connecting individuals who own stuff with other individuals who want to borrow it — for a fee. These are like a rental version of the swap sites I've written about before. Instead of trading your Stuff permanently for other Stuff you can rent it out. For example, you can rent your fall textbooks on Chegg.com. Some textbooks you may want as reference texts later on in life, but most of them you'll never need to touch again. Maybe it makes sense to rent instead of buying them? In some economic conditions and for certain types of investors, it even makes more economic sense to rent your primary residence rather than own it. How can you decide whether to rent or buy? The bottom line is minimizing the expense for having the Stuff you want. Consider the cost. How much does the object cost to buy? How much is the rental fee? How long would you have to rent it before you'd have paid as much in rental fees as you would have to purchase it outright? Consider how frequently you want to use an item. Is this something you're going to use once, like a floor sander or a formal gown? Or something you want to have on hand at all times, like a hammer or your running shoes? Consider how long you want to use the item. Do you want to have your residence for the next year or the next 20 years? Will you need that car for a weekend or a daily commute? Consider its resale value. Does this object appreciate in value, hold a fairly steady value, or rapidly lose value? Consider how much your use will impact the item. Some of our stuff we wear out. Some of it we leave little trace on. Are you buying a sofa that is going to be destroyed by your kids? Or a DVD that you'll watch a few times and then re-sell good as new on eBay? There's no simple answer to the rent vs. buy question. For some people, it probably makes economic sense to rent furniture. They may want to change their furnishings frequently, and have a thing for high-end designer items that lose value quickly as they go out of style. Renting a couch for six months in those circumstances makes more sense than shelling out thousands of dollars for one. I, on the other hand, am happily using the couch that I received as a hand-me-down from my mom when I moved out. I expect to use until it breaks or my kids grow up, whichever comes first. The key is to answer the questions above and figure out if it will cost you more to rent or buy the thing you want. It's an equation you should probably be able to solve for anything you want to buy. The equation would look something like cost to buy — resale value vs total cost to rent. You'd also want to factor in maintenance costs on items you own. To go back to the original example of music, it probably depends a lot on how you consume music. If you follow what's hot, and tend to listen to a new artist or album for a few months and then move on to the next new thing, you're probably better off with a subscription service. If you have a few favorite bands you want to hear over and over, you're not spending money on new music every month. Subscribing to a music service might be a waste for you. Aside from cost, there are psychological issues. The transumer movement has been around for awhile, but it doesn't seem to have really caught in with most things. People seem to prefer owning stuff to renting it. For instance, I rarely rent anything. I own my home, my car, and all of the possessions I regularly use. I'm experimenting with subscription services like Netflix and Spotify for my media, but the truth is I don't buy a lot of media anyway. I tend to use my library for books, and often get music and movies from the library too. What about you? Do you see yourself becoming a transumer? In what situations have you found it makes more sense to rent than to buy? Or do you think that renting is always a waste? Shortly after finishing college, a friend of mine was fired from his first job. He kept showing up to work late — sometimes hours late. He was charming and smart and reasonably good at his work, but his employer just couldn't rely on him to be at his desk on time, so they let him go. After a short, frantic job search, he leapt into the next job he was offered. As a teller at a bank. He didn't last long in this job either. There are few positions where punctuality is more necessary, and he already knew this wasn't his strong suit. He took that bank job knowing he'd just been fired for his lack of punctuality, but he really believed that through a simple act of will he could turn over a new leaf and become stellar at time management, despite having struggled with it in the past. Instead of playing to his strengths, he exhausted himself trying to live up to his ideals. He felt he should be able to show up at work on time, therefore he would if only he applied enough willpower. It didn't work. He failed, over and over, to meet his employers' needs. Eventually, my friend grew up and found a job that relied on his strengths and skills. One that didn't require him to be at the office at 9 a.m. every day. He's been happily employed for years now. What my friend needed was to know himself as an employee, and to admit that there were things he was always going to be good at — and things he was always going to struggle with. Then he needed to find a job that valued his strengths and could accept his weaknesses. That's not to say he didn't also need to start waking up with his alarm clock. Initially, his time management skills weren't up to snuff for any job. But there are jobs, like the one he has now, where the precise time you arrive at your desk matters a lot less than what you do when you get there. I've been thinking about this story a lot this week because I've been reading Marcus Buckingham's Go Put Your Strengths To Work. Buckingham is one of the founders of what he calls the Strengths Movement, an approach to career management designed to get the most out of every employee by teaching them to play to their strengths rather than constantly trying to fix their weaknesses. At the core of Buckingham's philosophy is the notion that you should focus your work life on the things you're good at, and steer yourself away from the things you're bad at. This is a better strategy for individuals and companies than trying to correct weaknesses, he says. No one can be good at everything. Find out what you are good at and do that, and you'll be more effective at your job. You should also have more fun doing it. Note: J.D. 's mentioned this philosophy before in a roundabout way. 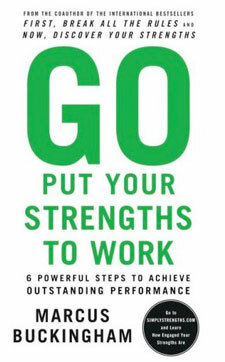 For instance, in his review of The 4-Hour Workweek, he quoted this passage: “Emphasize strengths, don't fix weaknesses. Most people are good at a handful of things and utterly miserable at most. […] It is far more lucrative and fun to leverage your strengths instead of attempting to fix all the chinks in your armor.” J.D. 's admonition to do what works for you is nothing more than a call to play to your strengths. My friend's case was extreme. Most of us don't have weaknesses as blatant as an inability to get up with our alarm clock. Nor are we so poorly matched with our chosen professions as to take a job with a bank knowing we can't make it to work on time. But we still have weaknesses. Every one of us has some part of our jobs that we loathe doing, or don't do well. Each of us also has strengths. In Buckingham's vision, a strength goes beyond what we're good at. It's the aspects of our professional lives that make us feel energized and alive. The stuff that engages our attention so thoroughly we lose track of time while doing it. The places where we're at our most creative. The things we're most committed to following through on. Our strengths put us into a state of flow. If you take nothing else away from this book, take this: You have development needs — areas where you need to grow, areas where you need to get better — but for you, as for all of us, you will learn the most, grow the most, and develop the most in your areas of greatest strength. Your strengths are your multiplier. Your strengths magnify you. Success. A strength is something you're good at. I love playing Scrabble, but it's not a strength of mine. I can tell because even though I enjoy it, I lose most of the games I play. If I wanted to become a professional Scrabble player, I'd have a long, uphill battle ahead of me. Being successful isn't enough, though. People are often very good at things they don't enjoy. That doesn't mean they should pursue those things. Instinct. “Your strengths have an I-can't-help-but quality to them,” writes Buckingham. They're the things you'll do for love. Writing is like this for me: I write for a living, but I also do it to relax, to play and to make sense of my life. If I don't have any work-in-progress on my desk, I'll make something up. I don't write because it's my job; rather it's my job because I kept doing it for a long time when it was simply a passion. Growth. Strengths allow you to grow. Buckingham provides a roadmap to knowing when you're experiencing that growth: Pay attention to when you feel happy and when you feel focused. Look for the things that feel easy, he says. The activities in which you're most likely to experience flow, losing track of time as you're completely and happily absorbed in your work. Those are your strengths. The things that energize you as you work at them. Needs. Your strengths fill a need. When you've done something you're strong at, you feel a kind of deep satisfaction. A sense, as Buckingham puts it, that all is right with the world. That feeling of rightness is a pointer that you're doing something right, something you should keep on doing. No matter how tired you are when you've finished, you don't feel mentally or emotionally drained. Your work feeds you rather than taking away from your well-being. Can we all really have work that is personally satisfying? Buckingham really believes we can. According to Buckingham, most of us need make only small adjustments to our existing jobs. We've already found employment that has the potential to use our strengths; we just need to tweak things so we have the best chance to shine. How do you play to your strengths at work? Or do you? Do you pursue strengths in other parts of your life? What's your experience been like when you focus on strengths versus focusing on weaknesses? Further reading: For another glimpse at this topic, check out J.D. 's post on doing what you love and other career advice. Pinching pennies doesn't mean you can't make yourself pretty. Yes, it's true that personal-care products and services can take a big bite out of your budget. By the time you've paid for your salon visit, your skin cream, your hair product, and your lip balm, you can easily be out $100 or more in any given month. You don't want to overindulge and blow a lot of money on personal appearance. All the same, it's important to take care of yourself, and it's possible to do so frugally. Here's how. I'll tell you a secret: I haven't washed my hair in weeks. I rinse it with water every morning when I take my shower (in my fancy, newly-repaired shower that now features hot and cold running water!). But I only shampoo and condition it about once a month. When I do, I use a 50-percent solution of shampoo and water. This means I'm using about 1/60th of the shampoo I used to use when I washed my hair every day with full strength shampoo. Needless to say, one bottle of shampoo lasts me a whole lot longer. There's a whole “no-poo” movement for people who don't want to shampoo their hair. A lot of them rinse with baking soda and vinegar instead, but I've found that even that is optional. But you don't have to dive into the deep end to minimize your beauty routine. Simply taking good care of yourself can dramatically cut down on the number of beauty products you need to use. When I asked readers for their favorite DIY beauty tips, a lot of them boiled down to simple self care. Drink lots of water. No — I mean more water than that. Lots of water. Whether it's doing your own manicure or making your own deodorant, there are lots of ways you can cut down on personal care expenses by embracing the DIY spirit. Look at each of your regular personal care expenses and ask: Would this be cheaper if I did it myself? Have a friend cut your hair. This clearly doesn't work for everyone, but if you have a relatively simple cut and don't need it to look perfect all the time, having your hair cut at home by a helpful friend or family member can save you a lot of money. Haircuts are probably my biggest personal care expense, so I try to space out trips to my stylist by trimming my hair at home and seeing her once every few months. Use oils as skin cleansers. Instead of indulging in expensive skin treatments, many of my friends swear by the oil cleansing method for cleaning and moisturizing their skin. I've never used the exact method, but I have used olive oil as a skin moisturizer for years and love it. Make skin scrubs out of sugar or salt. It's surprisingly easy to make very good salt scrubs at home with sea salt, massage oil, and a little essential oil. These are great for home use and make lovely gifts. Making your own toothpaste. It's easy to make your own toothpaste. You can do it with just baking soda and water, or you can get a little fancier. Either way, it will totally get your teeth clean. Confession time: I did this for a year or so and then went back to using Tom's of Maine. It was just too weird to switch away from the toothpaste I'd grown up with. For me, toothpaste turns out to be one of the products I prioritize spending on, as I'll discuss below. Make your own deodorant. Making your own deodorant is dead simple and it comes out great. Plus you can scent it any way you like. If mixing a few ingredients is too much for you, or if your skin is very sensitive, one commenter on the Instructables article linked above suggests getting a small spray bottle and filling it with apple cider vinegar to spritz under your arms. Virtually any beauty product can be made simply and cheaply at home. Lip balm, soap, lotion, face masks, shampoo: A quick Google search will turn up DIY recipes for all your favorite stuff. Doing it yourself isn't always worthwhile. Some DIY approaches, like making your own soap, can be time-consuming and expensive. Sometimes you can't easily replicate the quality you'd get from a commercial product. But often a DIY solution is fast, cheap, and easy. It's usually worth considering. Once you've minimized your beauty routines to the really worthwhile stuff, you'll probably find you have a few luxuries you're loath to part with. I have a dear friend who cuts her own hair, makes her own shampoo and deodorant, and never wears make-up. She splurges on $75 French moisturizer for her face, though. Nothing else works as well on her delicate skin. Since this is her one personal care luxury, she feels good about paying for the product she really loves. You may find that homemade skin cream, or cheap stuff from the drugstore, suits you just fine, but you're unwilling to part with your Aveda hair product or your monthly visits to your stylist. Great. This isn't an exercise in deprivation. It's about examining your spending so you can prioritize paying for quality on the things you really want, while saving money on ones that are less important to you. How have you saved money on your personal care routines? Tell us your favorite DIY beauty tricks in the comments. Finding free money lying around with your name on it seems a little too good to be true, doesn't it? That's what I thought when I learned about Missing Money, a website that offers to help you track down unclaimed property that may belong to you. Sometimes free money is for real, though. The site is legit and exactly what it claims: a tool for finding free money. Specifically, money that's already yours that you may have forgotten about or lost track of. You can also discover more exotic things. One of my colleagues reported that he and his sister used an unclaimed property claim to recover royalties for natural gas rights on land they own together. You may well find some money you'd lost track of, though. State treasuries are holding at least 32 billion dollars in abandoned assets. Some of that might belong to you. According to my home state, Massachusetts, as many as one in ten people have unclaimed property that can be retrieved by claiming it from the state that is holding it. Missing Money exists to help you find out if you're one of those people. It's a free search service that takes some basic information, like your name and what state you live in, and searches a database for records of unclaimed property that match your data. You can search for anyone's name, not just your own. It's fast, simple and appears to work. A quick search on my name and location turned up two instances of unclaimed property in my name. The search doesn't give you a lot of detail about the unclaimed property. In my case, it told me who it belonged to (Sierra Black), what town the owner lived in and whether the asset was worth more or less than $100. One of the items had a company name attached to it, the other did not. To lay claim to the property, you need to file a claim with your state. If your state is one of the ones participating in the Missing Money database, you can fill out the forms directly through their site. If your state isn't participating with Missing Money, or if you prefer to deal directly with your state government, Consumerist suggests a clever hack for finding the appropriate state agency: simply google the phrase “unclaimed property” along with the name of your state, and it should turn up your state's web site for dealing with these claims. I did this for Massachusetts and it led me to the Abandoned Property Division, where I ran a search under my name and filled out a form very similar to the one on Missing Money. The two processes seem to be interchangeable. Either should work equally well for reuniting you with your long-lost assets, if you have any. In addition to the basic forms, you may have to prove your right to the assets the state is holding. In the case of the natural gas royalties, my colleague needed a notarized letter verifying that he in fact owned the land in question. Missing Money is a legit site, approved by the National Association of Unclaimed Property Administrators. Its services are free to use. Making a claim directly through your state government is also free. It should not cost you anything to recovered your abandoned property. That doesn't mean people won't try to sell it to you, though. There are a number of businesses that charge “finder's fees” for finding unclaimed property. They're just doing the same thing you can do for yourself. You might be contacted by a service alerting you to unclaimed property and offering to help you get it back, for a fee. Don't bite. The fees are typically around 10 percent of the total funds recovered, but can range much higher. There's no need to pay a finder's fee to get your money. You can just fill out the forms through Missing Money or your state's website and retrieve it yourself. In addition to shady businesses trying to make a buck off real unclaimed property, there are also outright scammers who will try to convince you there's money waiting for you in order to get access to your personal information. Again, you shouldn't need to deal with any third party to get your unclaimed property back. You absolutely should not have to pay a fee for it. You don't have to pay to get your free money, but you do still have to put some time and effort in. Is it worth it? You decide. The forms are relatively quick and simple to fill out, so for me it seems totally worth it. I expect to get between $100 and $200 back, and the whole search process took less than an hour. That's a pretty good rate of return on my time. I'm adding a search for unclaimed property to my list of annual financial chores, along with pulling my credit reports and checking to see if the interest rate on my savings account is still competitive. During the summer, there's an abundance of high-quality fruits and vegetables. You get better quality for lower prices than you do buying off-season produce during the cold winter months. I always want to freeze this moment so I can enjoy the fruits of the season all year long. So I do. Every year, I freeze some produce, and I can some, and I use a variety of methods to make the bounty last. Last week, I wrote about smart ways to acquire your seasonal produce. Today, I'm going to talk about how to use it to get the best value for your food dollar. First (and this is obvious): Eat a lot. When fresh vegetables are in season, I try to shift my diet towards dishes that focus on the food being grown in my own backyard and on local farms. That's more challenging than it sounds. There might be nothing better than a fresh garden tomato. But twenty pounds of fresh tomatoes can become overwhelming even for the most avid fan. The thing is, when something is in season locally, it's all pretty much ready at once. All the peaches ripen within a few weeks of each other. Every ripe tomato you're going to grow all year will happen in late summer. No matter how much you love a food, you can get tired of it. If you're growing a vegetable garden or participating in a CSA, you'll have an abundance of those veggies whether you feel like having them for dinner or not. To keep up your appetite, I recommend investing in a few good cookbooks and exploring the food blogosphere. There are books and blogs dedicated to celebrating vegetables in season. They'll keep fresh ideas coming your way along with all the fresh vegetables. Farm to Fork by Emeril Lagasse. This book organizes the recipes by the type of food you're cooking. There's a whole section on herbs, and another on leafy greens, etc. This makes it easy to find inspiration for what's coming up in your garden. All the recipes I've cooked from it have been delicious. Greens, Glorious Greens by Johnna Albi and Catherine Walthers. This book is exactly as advertised, an entire cookbook devoted to green leafy vegetables. It's my go-to resource in early summer, when my farm share is providing me with two heads of lettuce a week plus an array of kale, chard, spinach and other greens. The New Moosewood Cookbook by Molly Katzen. Really any cookbook by Molly Katzen will stand you in good stead. She's the master of crunchy vegetarian cooking, and her cookbooks are fun and approachable. They're full of simple recipes anyone can make, that rely on whole healthy ingredients. In addition to my bookshelf, I often look online for inspiration, and find it at Smitten Kitchen, 101 Cookbooks, and Eclectic Recipes. Of course, you can't eat everything your garden or local farm has to offer. You wouldn't want to. One of the joys of summer's abundance is preserving the produce so you can have it in the cold winter months. I especially love canning my own peaches. Opening up a jar of home-canned peaches in January is like opening a jar of sunshine. I can taste the summer. Home canning is fairly easy, and doesn't require much in the way of specialized equipment. Yes, you can invest in a canner, but you can also do the job with a large pot. Canning parties are a fun way to spend a summer afternoon, and make the work lighter for everyone. You'll need glass jars, lids and a bulk amount of whatever you want to can. We always order a box of tomatoes and a box of peaches from the farm we get our CSA share from. Add those to the tomatoes from our garden and there's more than plenty. In addition to simply preserving peaches and tomatoes to use later, I've had great luck making tomato sauce and salsas at canning parties. Everyone brings their own recipes and we each get a few jars of different homemade sauces. It's a fun way to try out new things. If you've never done any canning before, Food In Jars is a great resource to get started. They're a great resource for any home canner, actually, with lots of creative ideas for everyone from beginners to experts. Some things work better frozen. We always make a few pints of fresh pesto with our garden basil and freeze it. A great way to do preserve pesto is to put it in ice cube trays. That way, you can thaw just the small amount you want to use. The ice cube trick works great for many herbs. Just chop them up, mix with a little water and freeze the mixture in ice cube trays. We've enjoyed basil, parsley, cilantro and mint this way. I grow a lot of herbs in my garden. I mentioned freezing my basil and cilantro, but I also like to dry out herbs for use throughout the year. I simply gather them in bunches and hang them in the kitchen. When they dry, I put the dried leaves into little glass jars in my spice cabinet. This works well for thyme, oregano, mint, sage, lemon balm and many other herbs. I've also experimented with making my own “sun-dried” tomatoes by slicing my garden's cherry tomatoes and putting them on cookie trays in the oven at a low temperature. It takes about four hours, but the tomatoes do dry up beautifully and make a great addition to salads and pasta dishes. I don't know how long they keep because we always eat them right away. Making your own sauerkraut and pickles is another easy way to preserve garden vegetables. You can make great dill pickles at home, in your fridge or even on your kitchen counter. There's no need to stop with traditional cucumber pickles, either. I've pickled radishes, hot peppers, green beans, and even eggs. Wild Fermentation is my go-to resource for these projects. Sandor Katz can teach you how to ferment just about anything. The summer harvest season has finally begun here in Boston. Near my house, Farmers' markets are popping up, brimming with fresh greens, ripe strawberries, and luscious radishes. Our first CSA share delivery of the season arrived last week. And my garden has started to cough up a few plump berries and herbs. My family loves vegetables. The kids love kale chips and fresh strawberries. We all eat sugar snap peas by the fistful. Later in the summer, my husband and I will haul in the tomatoes that are just starting to grow in our yard and make as much salsa as we can. Since we love vegetables so much, every summer I look for ways to economize on our fresh vegetables. There are two main aspects to this project: getting a good deal on the veggies, and making good use of them. J.D. 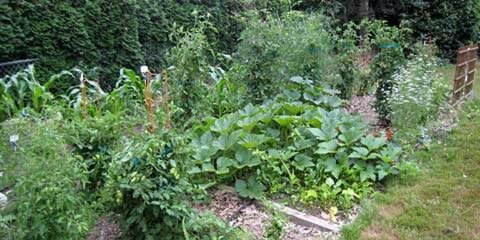 has written extensively about the benefits, financial and otherwise, of growing a vegetable garden. Growing your own veggies is awesome. The more DIY you can be about it, the better deal you'll get. For example, I paid about twenty-five cents for a packet of tomato seeds this spring that I grew half a dozen tomato plants from. When a few of them failed to thrive, I bought seedlings from my local garden shop. They cost $4 for a flat of six. Still a lot cheaper than buying fresh tomatoes, but much, much more expensive than starting from seed. I find that growing your own vegetables is the most economical way to enjoy fresh summer produce, once you have a garden in place. Setting up your garden beds, buying tools and learning the ropes can be pricey the first year. After that, you're looking at relatively small expenses for a lot of very high-quality produce. If you have the time to invest in gardening. As one of my gardening guru friends likes to say, you can't do half the work and get half the benefit. I'm a bit of a slacker gardener, and I still grow great veggies. But I don't get nearly the haul my friend gets from the same amount of space, because I don't put as much work into it as she does. I just plant some stuff and let it grow. Not everyone can maintain a vegetable garden. Some people don't have the space. Some don't have the time. Some just really don't enjoy gardening. If you're not going to grow your own garden, you may want to get creative about how you buy your veggies. A CSA, or community-supported agriculture, is a program where a local farm sells shares of its summer produce directly to consumers. You buy a share for the season, paying up front. Then you get a weekly delivery of vegetables straight from the farm. You're participating in the fortunes of the farm. If they have a great harvest, you get an abundance of produce at a great price. If it's a lean growing season, you'll get less. It's a great way to get fresh, local produce, but there are a few caveats. For one thing, you need to be adventurous in your love of vegetables. You'll get not only fresh heads of lettuce and juicy tomatoes, but a little of everything your farm grows. Kohlrabi. Brussels sprouts. Garlic. Sometimes we get vegetables in our share that I can't even identify. This works for me because no one in my house is a particularly picky eater. We like trying new foods, and find a wide variety of vegetables exciting. But if you'd prefer to stick with your two or three favorites, a farm share might not be for you. In addition to the adventuresome nature of a CSA, you want to be sure a farm share is a good value for you. I've experimented with several CSAs over the years. I found that they vary widely in value. They all cost different amounts, and you get different quantities of vegetables. Find out what the rough size of your share will be each week and do some math to compare those prices to your local farmer's market or grocery store. Are you really getting the better deal? The answer seems to be “usually”. Organic CSAs tend to be more expensive than conventional ones, but also a better bargain: you pay less for your organic produce getting it from a CSA than you would buying it at Whole Foods. At least in my neighborhood. Again, each farm share varies. The important thing is to do the math. Don't assume it's a good deal just because you're getting it in bulk. For a farm share to be a really good deal, you have to be sure you'll use your full share of veggies each week. It's like buying anything in bulk: it's only a bargain if you use it. Seriously consider how many vegetables your family will eat, and how much time you're willing to spend preparing and preserving your goodies. A farm share is a big commitment. If you let the produce go to waste, you're wasting your grocery money as well. Farmers' markets aren't exactly a cheap source of summer produce, but they're still often a great value. You may pay a little more for your food at a farmers' market than you would at the local supermarket, but you're getting much fresher, higher-quality produce. Often you'll get things you just can't find in the store. 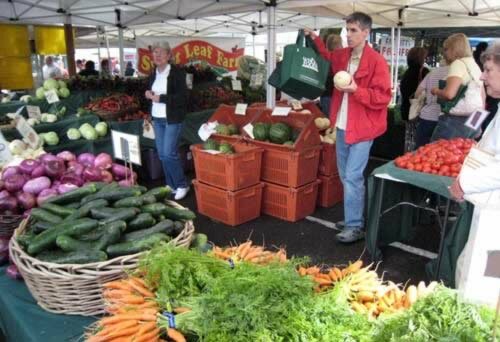 To get the best deals at your farmers' market, get to know the farmers who sell there each week. Ask about buying seconds quality produce, like bruised peaches or tomatoes. They're not as pretty as the premium stuff, but they make great jams and sauces. However you decide to get your summer produce, you'll want to take care with how you use it. Getting a good deal on fruit and vegetables is just the first part of the equation. Next week I'll talk about money-saving strategies for using and preserving your summer bounty so you can enjoy it all year long.